Adding video and audio content to your artist website is a great way attract new collectors, and to get existing collectors excited about your work. In today’s video, I show you some cheap, easy, and free ways to get multimedia content onto your site. Why Add Video & Audio? Several years ago, Google decided that sites that have audio and video content will show up better in search results. What’s more, in some cases, your video might show up as a separate search result, which essentially means you’ll get listed on Google twice! Awesome! In addition to the search results, video content is highly engaging. Websites that have video are more likely to keep people on the page longer and also more likely to convert sales. What Kind of Audio & Video? Why, videos about your art of course! Not only about your art, but where it comes from, your inspiration, how to buy the work, and where to find it. Val from Val’s Art Diary makes some very high quality professional videos of her work and her journey as an artist. Here is a list of some of the resources that I mention in today’s video. Audacity – a free tool for recording and editing audio. Exports wav & mp3 files. To export mp3 files you’ll need the lame library. iMovie – an easy to use video editing tool, you just drag and drop the pieces you want in your movie. Also available for iPad! Windows Movie Maker – like iMovie, but for Windows. Bluehost – Web hosting for your website and audio files (affiliate link). It’s what I use! WPaudio – great flash-based audio player for WordPress. Easy to use and easy to install – it’s just a plugin! Youtube.com – the largest video hosting site on the planet. Vimeo.com – great for hosting long videos with HD quality. They also do a great job with access control, allowing you to specify where videos can be embedded and/or downloaded. 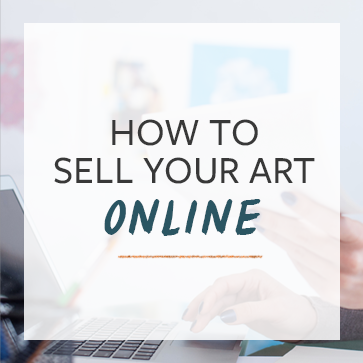 Do you use video to sell your art? Tell us about it in the comments. Are you making any of these common mistakes on your artist website? @centerpointart @artonomyblog you bet. thanks for the RT! Great article! Thank you for your site, very inspiring. I’ve just reworked totally my site under wordpress thanks to your advices. @AGoodHusband 🙂 I’ve been working on getting the audio on my website. Like that idea. PS – as a note for optimization, I notice that in my Google Reader your blog is the only one I have that comes up “Title Unknown” – which is not the best for readership…just thought you might want to know – and your readers want to check theirs out as well. All the best – I look forward to learning a lot from you. Hey guys, great stuff, in this tv saturated universe we live in vid speaks heaps. Love it, but until recently didn’t know quite what to do with it. Thanks for the inspiration. Glad to be of help Marcus! Looks like Eleatta’s YouTube video got locked down privately and is no longer available. thank you very interesting .